Besides creating the Great American Bake Sale (the San Francisco Food Bloggers' Bake Sale I just organized was part of this nationwide event), Share Our Strength also spearhears several other events to draw attention to the problem of childhood hunger. 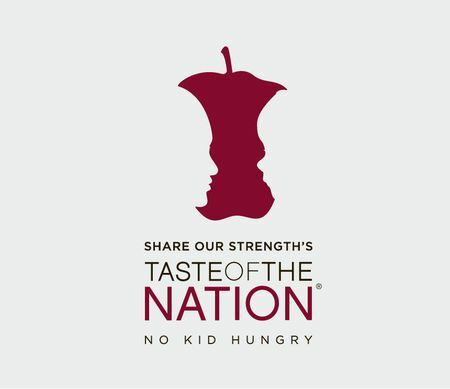 One of the these other events is Taste of the Nation, billed as "the nation's premier culinary event dedicated to ending childhood hunger in America." Spread over 30 cities across the US, Taste of the Nation features nights of festivity with top chefs, winemakers, and mixologists serving up luscious dishes, delectable wines, and intriguing cocktails. Nibble and imbibe, participate in a wine toss, or bid in a silent auction on tempting food-related prizes. All the proceeds from ticket sales and the events go back to Share Our Strength, to help in the fight against childhood hunger. Taste of the Nation San Francisco will happen next Thursday, April 29, and will spotlight food from some the Bay Area's brightest culinary luminaries, including Traci des Jardins of Jardiniere, Matthew Accarrino of SPQR, and Elizabeth Faulkner of Citizen Cake. I was lucky enough to score two tickets from Foodbuzz, to attend the event as one of their Featured Publishers! So expect to see a report on this event on Dessert First! However, even more exciting it that one of you readers can experience it with me! Foodbuzz has given me an extra ticket to raffle off, and I need to give it away by this Friday! The Taste of the Nation San Francisco event is Thursday, April 29, from 6:30 to 9:30 at AT&T Ballpark. Obviously you will have to be able to get yourself to the event. For all my readers who aren't in San Francisco, I'm very sorry and I promise I'll have another raffle that you can all enter very soon! Since time is short, I'll make it simple to enter: simply follow my Twitter feed. Post your twitter handle in the comment box below so I can verify that you're following. If you're already following me, you can also post your twitter handle and enter! I'll pick a winner at random on Friday at noon. So get a-typin! Tickets for Taste of the Nation can also be purchased here. If you live outside of San Francisco, check the events page to see if there is another Taste of the Nation event near where you are. Events are happening from now through July. Here's another chance to help in the fight against childhood hunger – and have some fun in the process! Hi Anita! I’m following your twitter feed with the name “jackhonky”! It was nice to meet you at the bake sale last Saturday! I’m following you on twitter @bakergirl87. oh how fun!! i’m currently following you. Awesome! I’m @jacquieblackman on the twitter. Thanks for your work to end childhood hunger. I am all up in your area with the following. Sounds like a fun event! I love the strawberry. Too cute. are you a Taurus too?